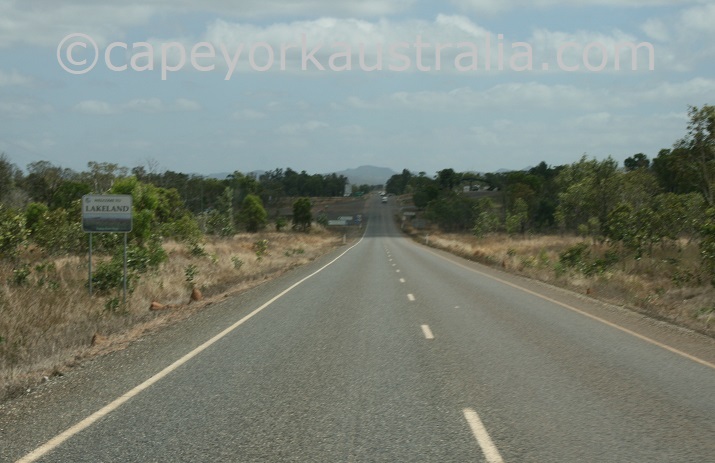 Mulligan Highway is the road from Mareeba to Cooktown. In other words it is the inland way from Cairns to Cooktown. 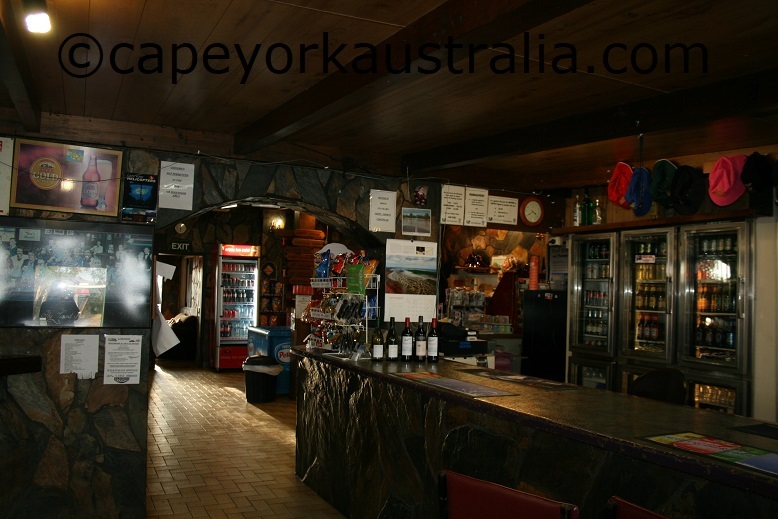 Named after the famous prospector James Venture Mulligan who found the gold deposits that started both Palmer River and Hodgkinson Goldfields - the southern part of this highway goes through the area with a lot of mining history. 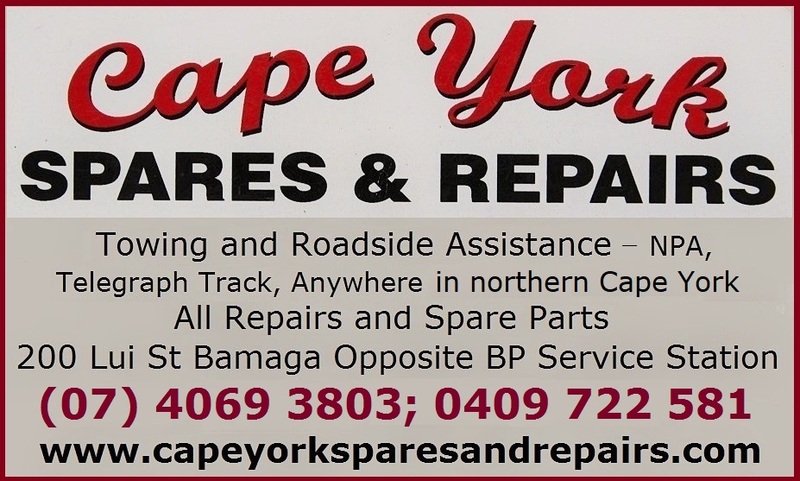 The central part goes through some huge cattle farms that are unfenced so there is cattle on the road - take care. And the northern part crosses the west and east Normanby River and on top of the cattle also has lots of kangaroos at dusk and dawn, again, take care here as well. 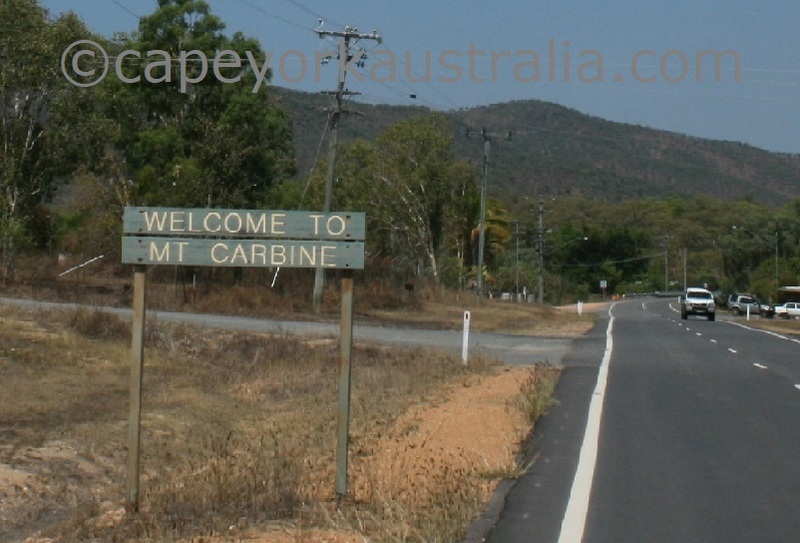 After Mareeba the road to Cooktown and Cape York turns north towards Mt Molloy. 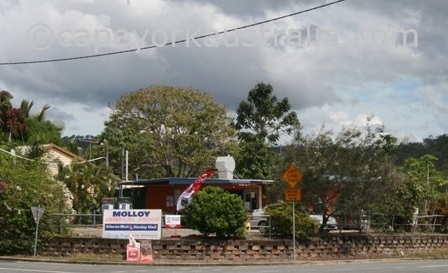 You first pass Biboohra and Mareeba Wetlands, and further north you pass Lake Mitchell before you get to Mount Molloy - a little one-pub town famous for its mining history. North of Mount Molloy, the road continues, flat and straight, through the open eucalypt woodland towards Mt Carbine - a tiny township with a wolfram mine, a pub, and a roadhouse that used to sell fuel and basic supplies but burned down in late 2013 (UPDATE and is getting rebuilt as of late 2014, reopened in March 2015). North of Mt Carbine the road climbs across a mountain range where there are good views from Bob's Lookout. About 20km north of the mountain range is a turnoff to Palmer River Goldfields. 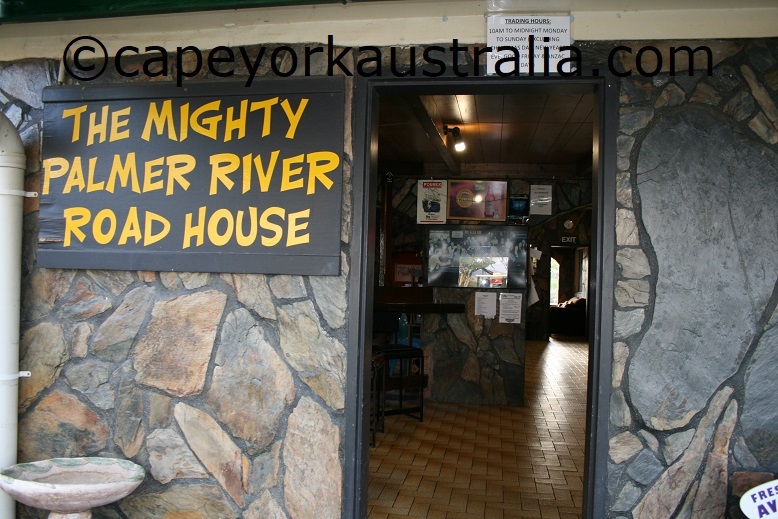 Further north, Palmer River Roadhouse has a restaurant and a beer garden, and a camping ground. If you have the time and are interested in mining history, south of the Palmer River Roadhouse you can turn into Palmer River Goldfields. It's a fun drive, there are some great old mines with a lot of old equipment, and Maytown, the former capital. If you are into hard four wheel driving there is also the Old Coach Road). 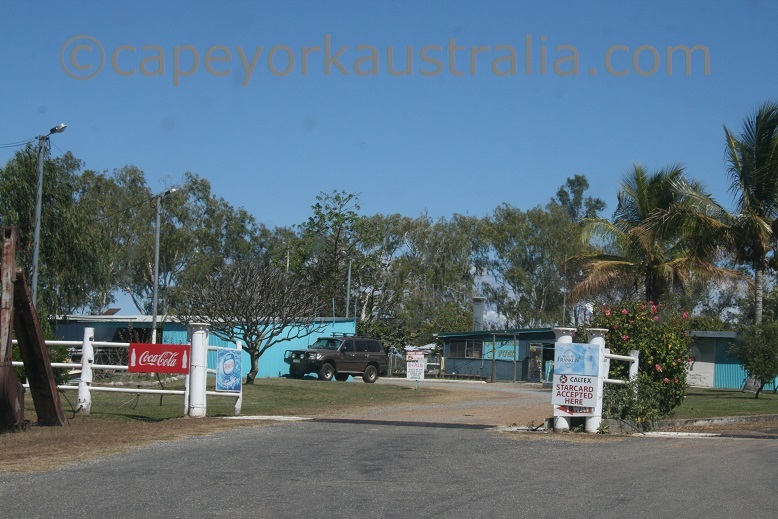 About 30km north of the Palmer River Roadhouse is the small township of Lakeland Downs, more commonly known as Lakeland. It has a roadhouse, a hotel and a caravan park. 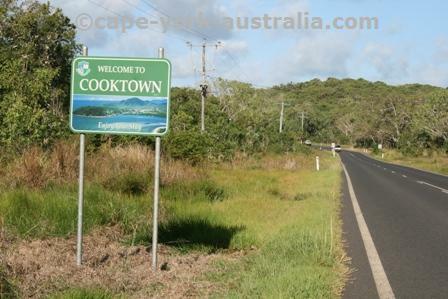 After entering the town, a left hand turnoff goes to PDR and Laura, and for Cooktown you continue north. You continue along Mulligan Highway, towards Cooktown, crossinga few creeks, the West and East Normanby rivers, and later past Little Annan Gorge, then the intersection with the coastal road, and Black Mountain National Park, before you get to Cooktown - one of the greatest towns in Cape York. 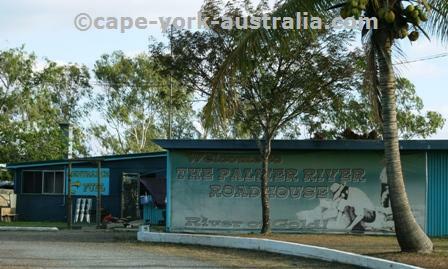 Palmer River Roadhouse is a nice place to stop. It is on the Peninsula Developmental Road, north of Mt Carbine and south of Lakeland. 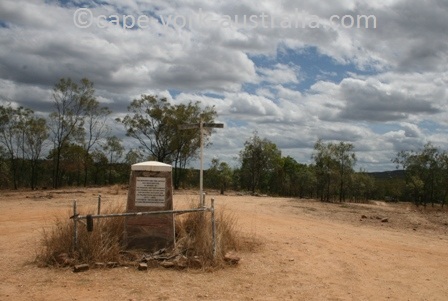 It is on the top of Byerstown Mountain Range - south of it is Bob's Lookout, and north of it is James Earl Lookout. If you are on your way past, it is a nice place to stop to enjoy a lunch in the relaxing beer gardens. 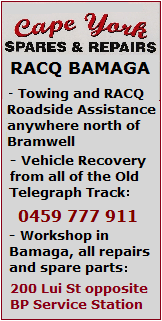 Or stay for the night - particularly handy if you are planning a day for Palmer River Goldfields. 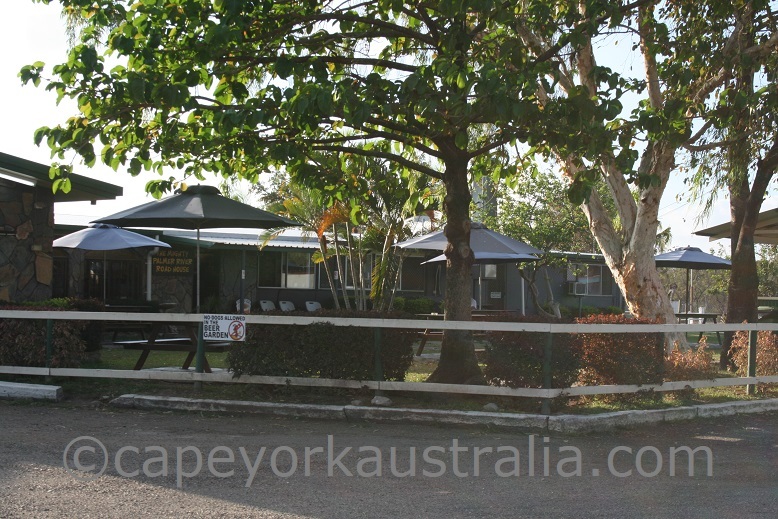 It has accommodation in permanent tents, as well as powered and unpowered camping sites. It sells meals and drinks and has a bar and a nice beer garden. 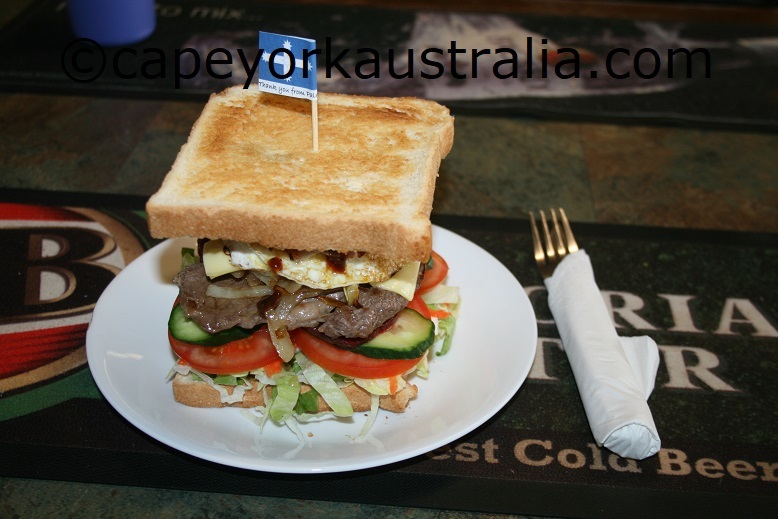 A great item on the menu is Palmer River Sandwich, which is delicious.